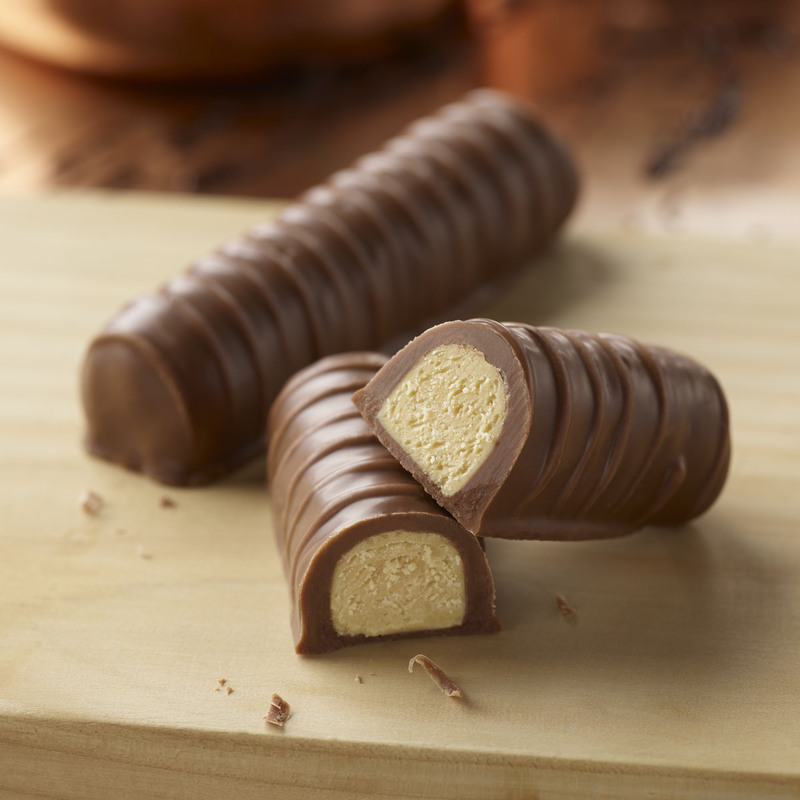 Caramel fans are sure to love this new addition to the Favourite Flavours bars collection, the Caramel Truffle Bar. 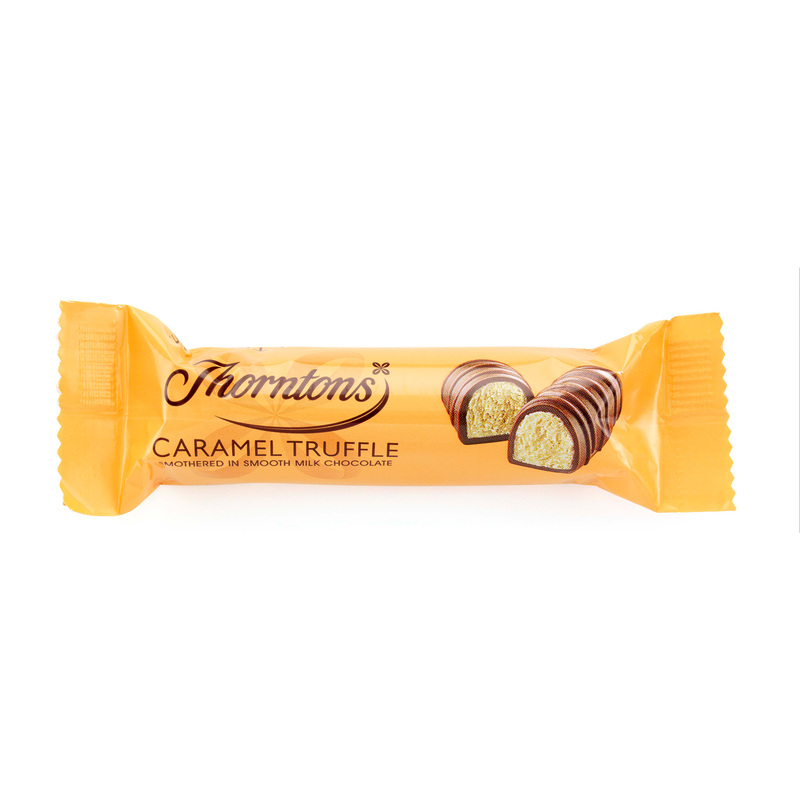 This brilliant new bar has a soft, creamy centre of caramel truffle, fully encased in Thorntons finest milk chocolate and decorated with milk chocolate ripples. The ever-popular chocolate and caramel combination, all wrapped up in an individual bar, makes the perfect little treat. Soft, sumptuous and sweet! Presented in gorgeous gold packaging. Sugar, Cocoa Butter, Dried Whole Milk, Cocoa Mass, Water, Butter (Milk), Humectant (Sorbitol), Milk Fat, Glucose Syrup, Dried Skimmed Milk, Emulsifier (Soya Lecithin), Flavourings, Salt, Stabiliser (Invertase).